As a welder, you may have probably encountered or you will be encountering what is called as welding spatter, so of course, you will find ways to get rid of them which will probably lead you to purchasing an anti weld spatter spray, but have you asked yourself: “Does Anti Weld Spatter Spray Affect My Weld?” We understand that you want to be sure that you aren’t doing any more harm to your finished product than intended. I believe it’s great that you worry about your work! That is one of the characteristics a great welder can have! Below is a picture of weld spatters that have already dried out. They aren’t exactly what I’d call pretty to look at. It seems like they taint the beauty of your finished product so of course, you’d want to reduce them or better yet, get rid of them completely. There isn’t really anything known about the dangers of anti weld spatters to your work, but to your body, there is if you spray it and inhale it. That’s why it is important that you have a mask or at least something over your nose that can filter the air that you are breathing. Overall, anti weld spatter sprays are great! All you will have to is spray it all over the area which you have to weld or around the area where you are to make a weld. Leave it to dry for a little bit. Begin welding! 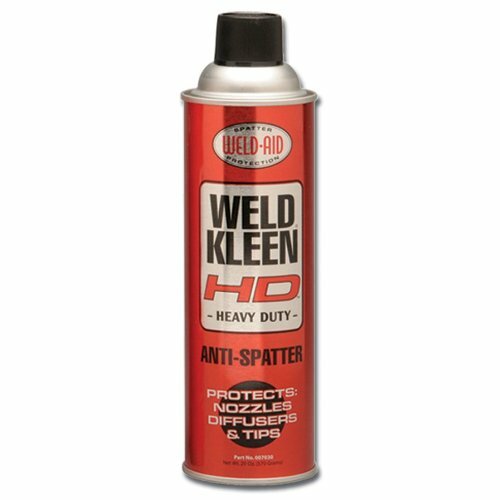 Weld-Aid Kleen Heavy Duty Anti-Spatter Liquid You can purchase this product for only 7.51 US DOLLARS. You can avail of Amazon’s free shipping if you order in bulk that will reach at least 49 US DOLLARS in total. This product is great for fixture and tooling protection. It is a solvent based and a quick drying aerosol that will allow you to do pre-heating, high duty cycles, and higher temperature applications. This is spray allows for painting. It is non-flammable, and contains no fluorocarbons. One can contains 20 oz. Overall, this product was given a rating of 4.7 stars out of 5 stars. HOT MAX 23000 Anti-Spatter Spray [ Silicone Free ]The main purpose of this product is to prevent the welding spatter from sticking on the surface. Note that this product is great for the environment because it is silicone free. Aside from the surface, this product can also help spatter from sticking to nozzles and contact tips. You can purchase this product for 12.98 US DOLLARS. All you will need to do is to spray this product on the surface of the metal you will be welding, then you will give it a little time to dry, and when it is, you can now start welding. After you can simply wipe the spatter off with a cloth or a tissue since they aren’t sticking to the surface. This also makes cleaning up a little easier. Not surprisingly, this product has received a total overall rating of 5 stars out of 5 stars! There’s only a few left in stock so if you want to purchase this product, you better do it soon! They will be restocking soon but it’s not really sure when the exact date is. 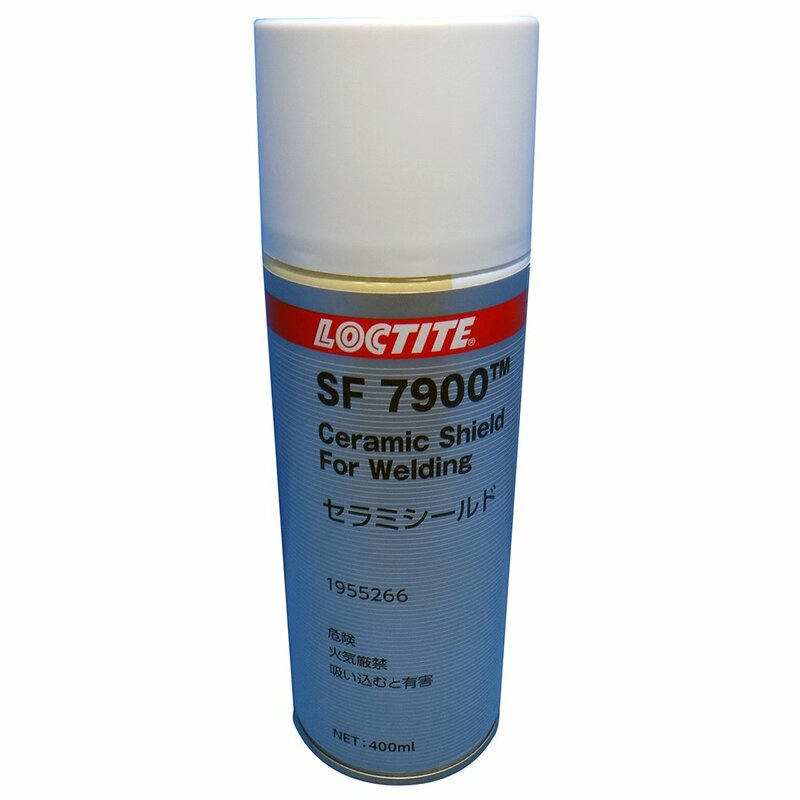 LOCTITE SF 7900 ANTI WELD SPATTER COATINGThis product is a little expensive compared to the other ones so is it really worth it’s price? You can purchase this product for 34.75 US DOLLARS, but the great thing about this is that it comes with a free shipping. After spraying this product on a surface, you will notice that it is now very slippery and very easy to clean. This is a product from Japan so it’s made from high quality and it follows the safety standards. This product has received a perfect score of 5 stars out of 5 stars. To end this article, I’d like to say it again that the right brand of anti weld spatter spray does not do any harm to your product so use it freely. Be sure to read up on product reviews of the anti spatter spray that you want to purchase. Come back next time here at Welding Steel Tips and Tricks for more helpful articles such as this one! Hopefully, our article for today has helped you even just a little bit. You can share this post to your friends and family if you think they can learn from it as well. Did you know that you can also subscribe to us? Subscribing to us is a great way to never miss a post and you’ll always be the first one to know or read! We will be sending you alerts or notifications in your e-mail address every time we post something new. We don’t spam! No worries! If you have further additional questions or you just want to discuss the topic, you can send a message to us or better yet, leave a comment below so that we and other readers will be able to answer your question or discuss it further. The more the merrier, right? Thanks for reading! Hope to see you here again next time! Have a nice day!